What’s more is that of those organizations with resources in place, about 59 percent will use an outside provider to augment some part of their learning function.2 If your organization aspires to tackle disruption head-on, you already understand the importance of moving from a reactive to a proactive mindset. It’s a fact, enterprises leverage external providers to deliver more learning than internal resources can provide, to gain access to better learning expertise while controlling costs and to supplement internal resources to have learning resources available on an as-needed basis. So how do get the selection process right? Driving employee performance in today’s business environment starts by establishing a strong learning strategy and choosing the right partners to bolster your team because developing and delivering effective learning solutions is more challenging than ever. Enterprises are continuously asking their learning organizations to do more with less. Additionally, emerging technologies, business competition and learner expectations are increasing the pressure on learning organizations to reduce time-to-value. When given a choice to outsource or hire additional resources, 50 percent of CLOs think outsourcing is more cost-effective and flexible than hiring resources. “Training needs [are] constantly changing. In-house expertise becomes static and confined to specific areas.” – Fortune 500 Technology CLO, IDC survey of Chief Learning Officer magazine’s Business Intelligence Board. Learning organizations that can harness the rapid evolution of technology to improve learning outcomes and demonstrate business impact are more likely to receive investment in the future. Many of today’s successful companies have turned to approaches based on engagement, data, collaboration and measurable outcomes. All of which has helped these organizations thrive, grow and increase revenue year after year. 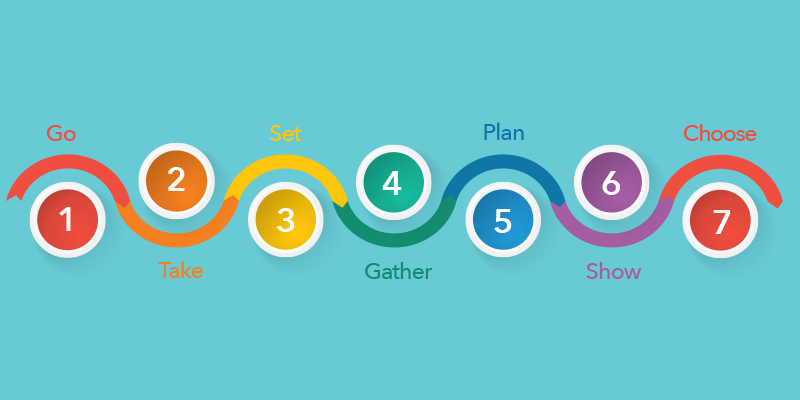 Step 1: Go Lean … and Agile! Eliminate waste. Anything that does not add value in some way to the learning solutions delivered to clients is considered a waste. Build in quality. Procedures are in place to prevent defects and issues from entering the process. Amplify knowledge. The client and the team create critical knowledge by experiencing the solution themselves. Decide as late as possible. Deliver better results by taking an options-based approach. Make decisions based on facts learned through the development process rather than uncertain assumptions and predictions. Deliver as quickly as possible. The sooner a solution (or part of a solution) is delivered with quality, the sooner clients are able to provide feedback that the team can incorporate into the work for the next week. Empower the team. An empowered team attracts bright, creative people who collaborate to deliver wildly successful deliverables. Optimize the whole. Observe the end-to-end value stream that clients experience from initial contact through to delivery of the solution and subsequent follow up. Before your company can choose a learning partner, you need to figure out what each line of business needs to achieve and gauge each division’s existing approach to learning. Yet only 11% of companies surveyed embodied five or more of these characteristics. Is your work environment supportive of learning? Have you established clear, concrete learning processes and practices? 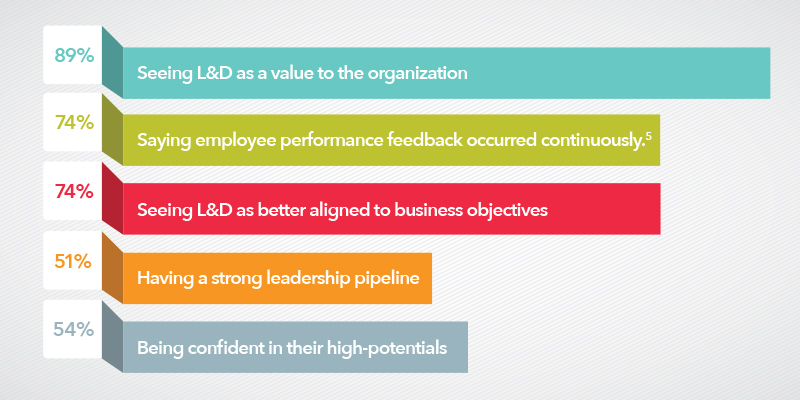 Does your company’s leadership actively support your learning culture? These questions get to the root of what it means to establish a learning strategy that aligns with your culture. In answering these, you open a window into your workforce’s ability to embrace novel solutions to new and existing problems and determine which approaches need to come from inside or outside of the company hierarchy. This self-assessment gives line of business and executive leadership an understanding of how new solutions will be embraced, solicits input from a broad population of employees and offers insights into how to encourage employees to be more invested in results. Your ideal partner should provide a timeline for accomplishing all project goals and assurances to stay on track as well as present a consistent history of adhering to established timeframes, success and engagement metrics and take special care to embed thinking outside of the box every step of the way. 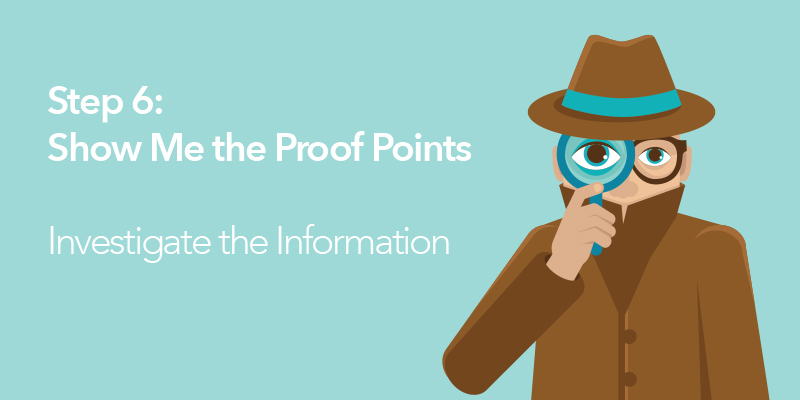 Partners with good communications strategies should have a deep track record showcasing how they’ve helped promote knowledge sharing across client organizations. Your partner should help you amplify and broadcast successes, build excitement about the learning experience and help new, winning approaches spread deeper into the fabric of each line of business. In addition, qualified learning partners will have well-documented records of how effective their client communications have been over the years. Digital experience delivery makes or breaks firms’ ability to engage today. Consumers, in general, have come to expect a high-quality digital experience from service and product providers across industries—retail, health care and entertainment, among others. A “marketing quality level” of digital experience is permeating the digital experience and changing the expectations of both consumers and learners. Consumer expectations spread to other online experiences, including e-learning, where learners expect high-quality graphic design, interactivity, fast-paced video and integrated audio elements. Learning organizations that can take advantage of available tooling and rapidly evolve new techniques to create a more robust digital experience are able to deliver a more engaged learning experience. Data and analytics are enabling the delivery of more personalized online experiences. Today’s software applications blend data from systems of record (e.g., HR, CRM, consumer databases, data warehouses) with systems of engagement (e.g., email, collaboration, social, and learning systems) to provide more opportunities than ever before to create custom-tailored and targeted learning solutions that efficiently meet an individual’s learning objectives. Your ideal partner should also have clear and defined processes in place, as well as extensive project-management experience, that you can review and discuss before, during and after the project is completed. Furthermore, you will want to work with a partner that has extensive experience designing and developing learning models that are more than one-size-fits-all programs. The partner’s processes also need to complement your internal culture and be based on the latest, most-effective models, technologies and designs. Collaborating also identifies skills gaps in the organization with respect to peers inside and outside the company and helps your learning partner design an effective workforce performance program. In addition, this joint approach gives rise to a blended curriculum that combines formal and digital learning with on-the-job training and alternative approaches such as coaching. This results in learning programs with a wider array of touchpoints that connect with more employees at one time and have an effect at the institutional level as well. Effectively and pragmatically measure the effectiveness of learning. Assure consistent quality of faculty and instructional designers. Provide training customized to your industry. Provide training on applications as they are used inside your firm and not just out-of-the-box training. Provide curriculum that reflects the pain points of your industry and its specific requirements. Develop flexibility and installed capacity to provide training at any time. Most importantly, provide an excellent team. 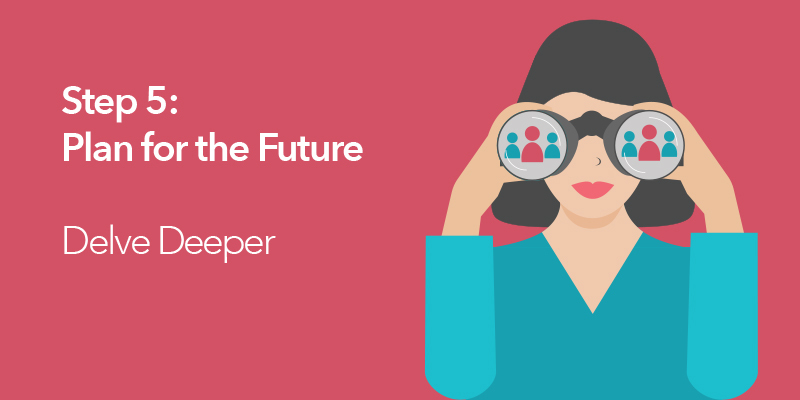 Choosing an ideal learning partner is a lot like hiring a new employee to work in any part of your business, and your criteria should be no less rigorous. Your candidate needs to have valid L&D credentials. The prospective partner should have experienced experts on staff with all of the skills required to complete your learning project, including instructional designers, artists, writers and editors. And, don’t underestimate the value of design: Quality instructional design is essential to developing and delivering impactful learning experiences. This team must be able to address diverse learning strategies and delivery methods: Technology Selection, Content Development, Employee Motivation, E-Learning Business Process Design, Financial Analysis and Mobile as well as an ability to fit in with your business culture. In addition, potential candidates should be able to show a clear return on investment from past work they’ve completed. Quality and knowledge matters - explore the provider’s subject matter expertise. Growth in the Number of E-learning Projects - Delighted clients are more likely to return for additional help with learning initiatives and projects in the future. Your ideal partner should measure success on being able to support clients on a long-term basis. Number of New Clients - Delighted clients are more likely to recommend a partner to other departments within their organizations or to their peers in other enterprises. Client References – Trusted advisors view client references in the form of case studies, white papers, co-presentations and video testimonials as being a significant demonstration of their ability to delight clients. Additionally, client references can often be used to build awareness of their excellent learning programs. Helping Clients Measure Success - A partner that helps clients to develop and implement learning solutions can drive a higher level of business value—increased revenue, reduced operating costs, improved quality, etc. Throughout a project, a trusted partner works with clients to determine what their business goals are and to identify ways that they can support clients in measuring the impact of their solutions. 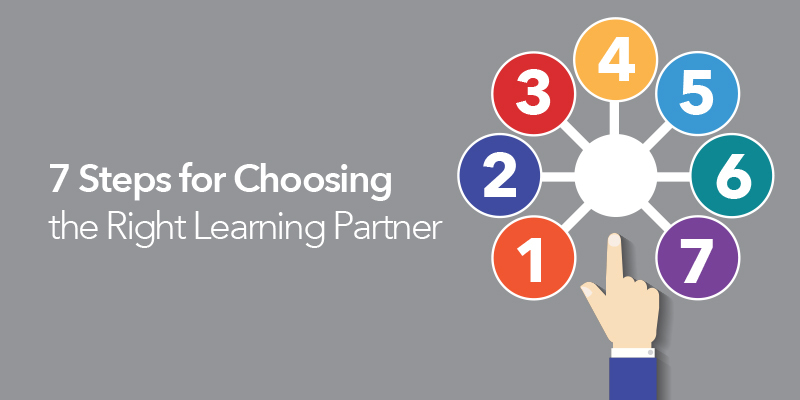 Now that you’ve done all the legwork necessary to learn about who would make an ideal learning and development partner for your organization, the final step is to choose. And thanks to your detailed self-assessment, research and investigation, you should have little trouble weighing the strengths and weaknesses (if any) of each candidate. In fact, the choice should be clear. 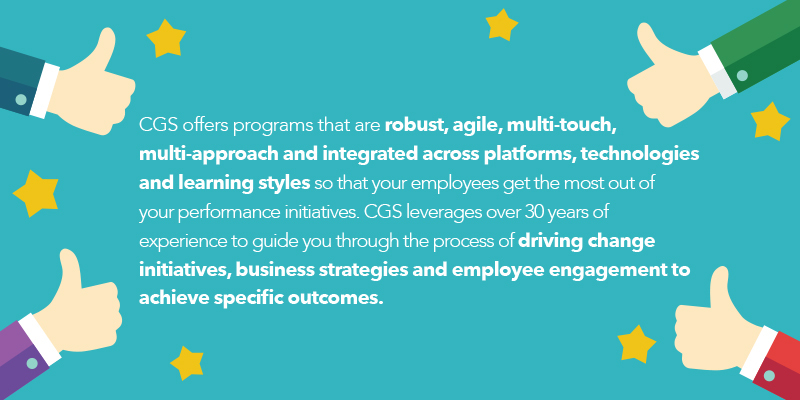 For a clearer picture of why CGS Enterprise Learning has been a trusted workforce performance partner to top-performing companies for more than 30 years, how CGS goes about scaling people, processes and performance, why CGS Learning has a 95% customer return rate, and what else CGS’s Enterprise Learning Services have to offer, please contact learning@cgsinc.com for a free assessment. 1 CGS Learning: A Trusted Partner for Change, Corporate Presentation. 7 David A. Garvin, Amy C. Edmondson, and Francesca Gino, “Is Yours a Learning Environment,” Harvard Business Journal, March 2008. 9”Selecting an E-Learning Partner,” Jennifer De Vries.